Including red clover in silage leys has the potential to boost dry matter production by more than two tonnes per hectare per year and increase nutritional quality in the clamp, according to Francis Dunne of Field Options. Speaking at the AHDB’s ‘Quality Silage from Seed to Feed’ event at Longden Manor in Shropshire, he referenced local trials based on 30-day multi-cut silage system and the performance of crops during dry periods in both 2017 and 2018 seasons. This highlights the value of red clover in building resilience into forage production systems. 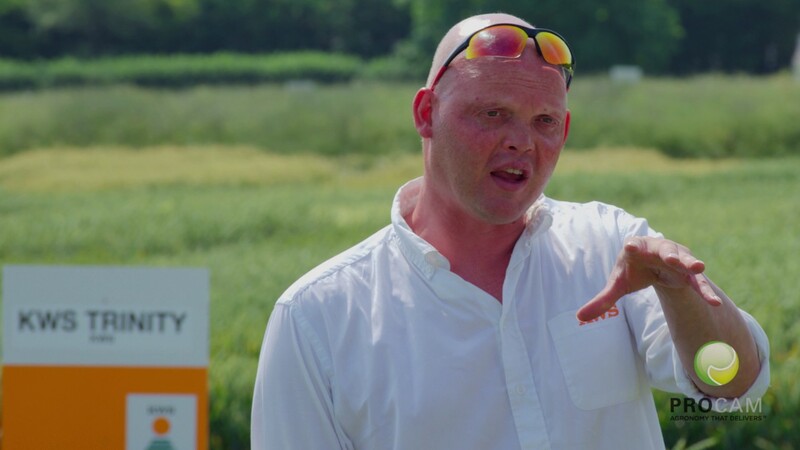 “In the Pro-Cam Field Options trials at Harper Adams University, the mixtures including red clover outperformed straight ryegrass leys, and grass and white clover leys, by two to three tonnes of dry matter per hectare over the season, with around 60% of that being during the driest months of July and August. Mr Dunne put these potential gains in dry matter yield and quality in the context of the opportunity to improve performance from forage. “If we look at increased dry matter alone, an additional 0.5tDM/ha of forage of average quality (10.8MJ/kg ME) will mean an extra 5,400 MJ of energy in the clamp. For a milk producer that’s enough to produce 982 litres of milk per hectare, which even at a modest 26 pence per litre is worth over £250/ha. These gains will increase when you then factor in higher protein and/or energy in the forage generated by shorter cutting intervals. Red clover breeding has in recent years led to greater persistency and yield in modern varieties, something that Francis Dunne said was an additional reason to consider it. “Traditionally red clover has been a crop that would typically persist for two to three years, so suitable for shorter term leys but not maintaining its presence in medium to long term leys,” he added. “Some modern varieties, like AberClaret and Atlantis, have been bred to persist for up to four to five years, so with the correct management have the potential to persist for the duration of many medium-term cutting leys.